Lovers of traditional yard sports will love this rope quoits set. The heavier style rope quoits make for a more true trajectory when the quoit is in flight, as it has greater momentum and is less likely to be influenced by any wind. 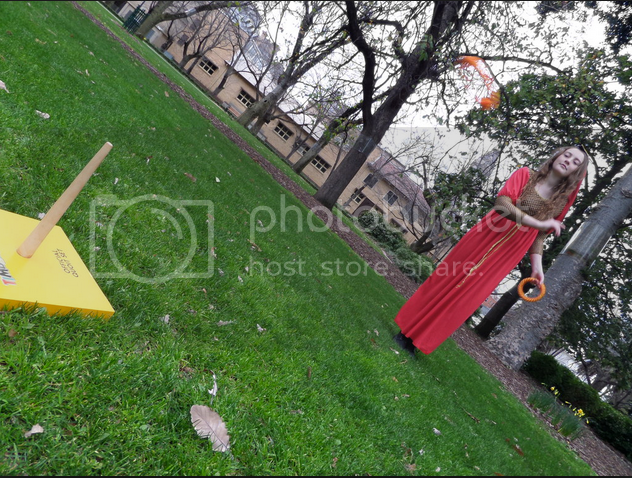 Quoits involves the throwing of rings (traditionally rope or metal, but in more modern times, plastic) over a predetermined distance, with the aim to land over a spike (sometimes referred to as a pin) that is placed vertically on the ground. For a detailed explanation of the many variants of the game please click this link.